Bradley Cooper was named People Magazine's Sexiest Man Alive this year. 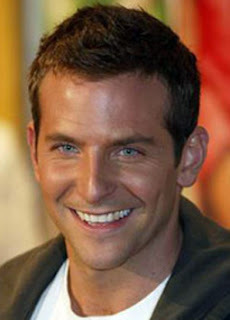 But, if I was going to pick someone who was not on my top 5 list, Bradley is a good option. He made my short list, but he didn't make the final cut due to the shittiness of The Hangover 2. Congrats Bradley. And Ryan...don't worry, your time will come. he's good looking. Not the sexiest to me though.